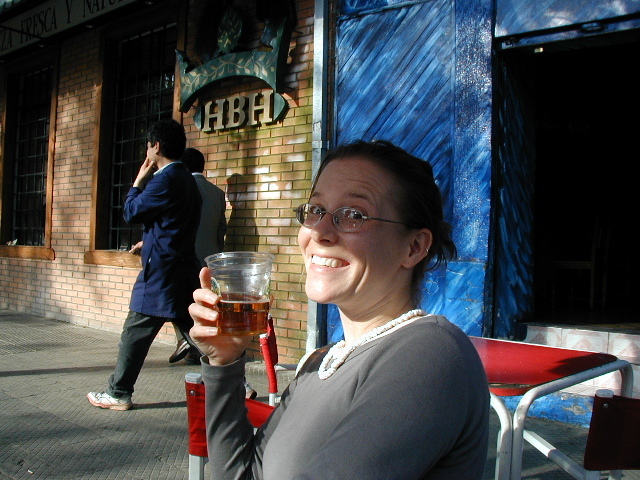 We did make it to Viña del Mar, which is really not that special. We walked around the botanical gardens and attempted, unsuccessfully, to go to the museum that was located within the park. We had the worst luck in that department. During our stay in Valparaíso and Viña, we hit 5 closed attractions -- most of which were under renovation. The weather, though, continued to be quite pleasant. It has been warm and sunny ever since we left Pucón. The morning we went to Viña, a fog had rolled in, but it was still plenty warm. 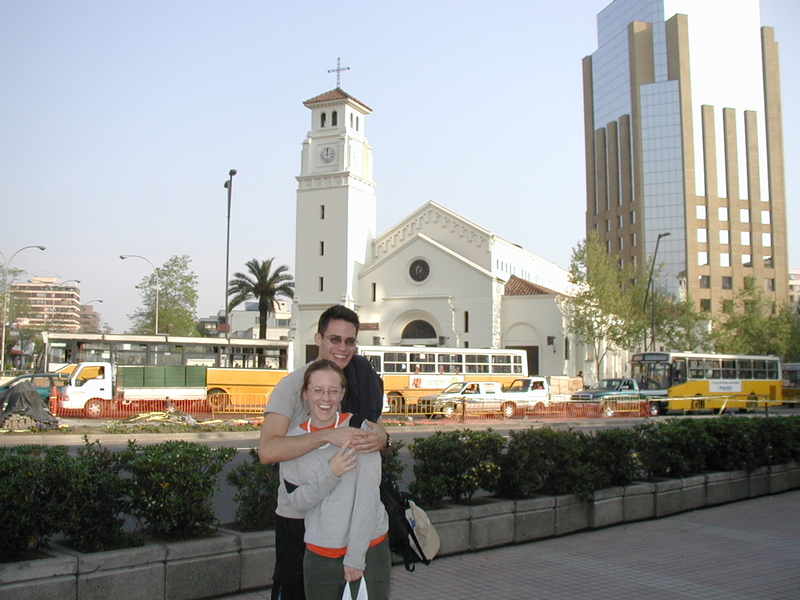 Now we are in Santiago, where there isn´t really a whole lot to do. Since Charlie (Patty´s boyfriend) arrived on Friday we have been walking about town and eating and drinking lots. Charlie brought lots of goodies with him for Patty and I, including peanut butter and extra undies for me, to make up for the pair I managed to melt on a heater in Bariloche while trying to dry them after doing laundry in the sink. Heh. 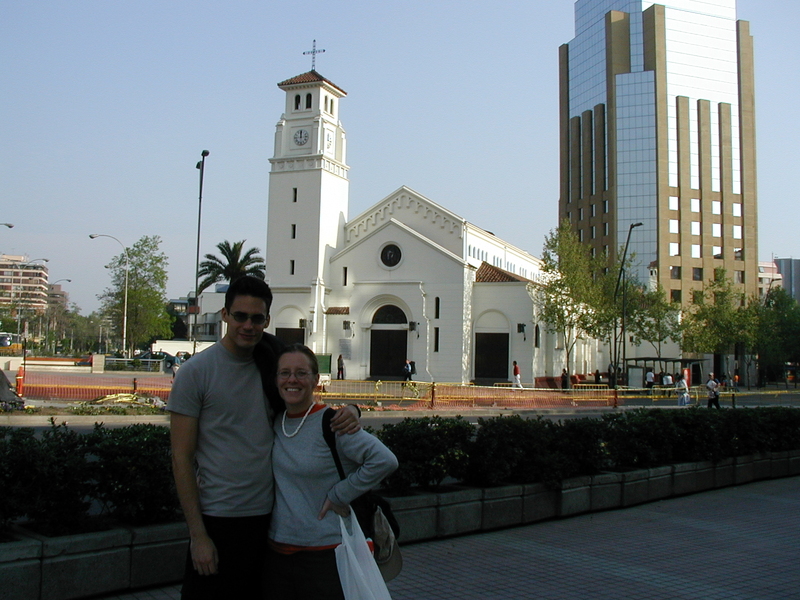 We haven´t managed to meet up with any of the people from Santiago that we met in Pucón, which is a shame. They were nice people! 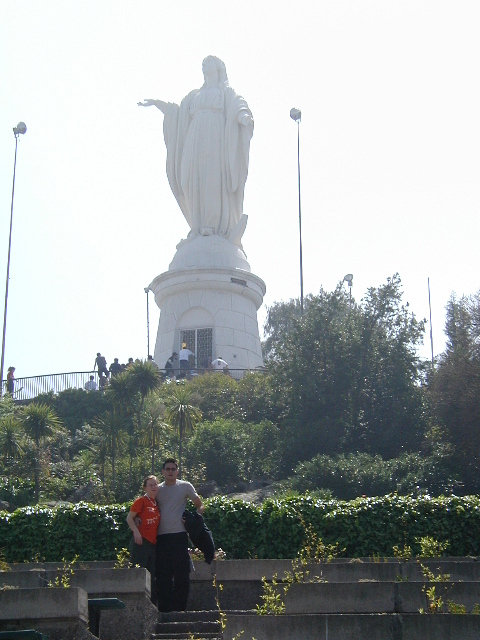 But, we have gone up to the top of Cerro San Cristobal to see a tall statue of Mary and walked through the botanical gardens. 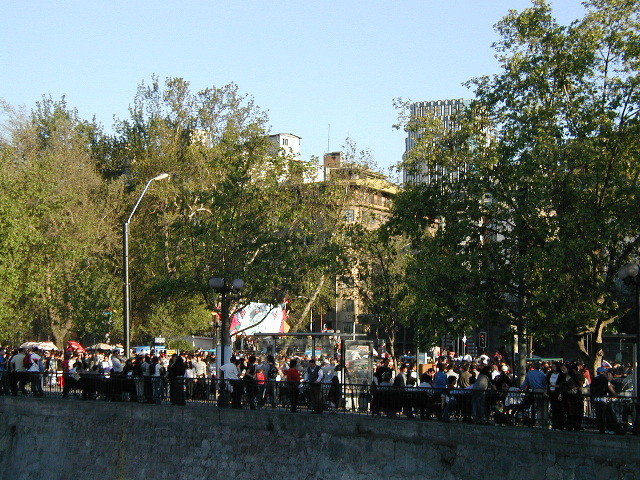 To get to Mary, we took the funicular and to get down to the gardens we took a gondola. Charlie (who hates heights) was very brave. We´ve eaten twice at the Phone Box Pub, which I would recommend to anyone traveling this way. We had excellent burritos and chimichangas, and panqueques with manjar (dulce de leche) that were overstuffed with the gooey goodness. Charlie is taking back two tubs of manjar/dulce de leche with him, and if Patty and I are feeling generous, we may let you try some. (It is addictive) Dulce de leche, if we haven´t yet explained, is condensed milk heated over a double-boiler for hours until it carmelizes. In Chile, they call dulce de leche manjar, just to be confusing. Saturday night, Patty, Charlie, and I headed out with two other Americans and a Dutch guy to go drinking and dancing. We had a pretty good time, though one of the Americans is definitely one of those people who give American travellers a bad name. He was a bit loud and obnoxious. On Sunday, Patty and Charlie went to a local park, while I went my own direction and stumbled on an arts festival close to the museum of fine arts. Not sure how we didn´t know that it was going to be there. Seemed like the whole city was attending. There were two large stages with live music constantly playing. 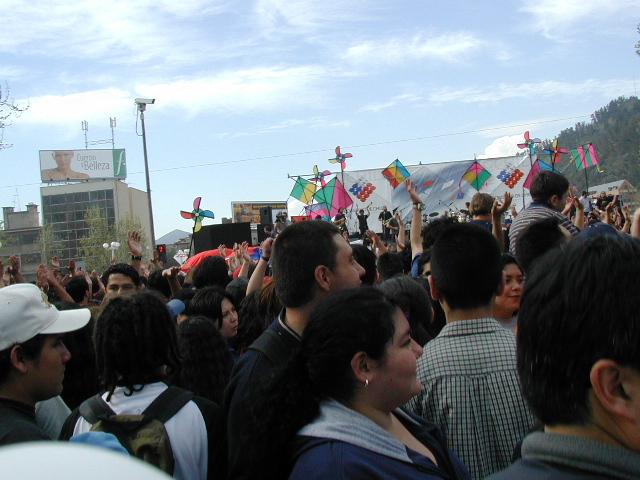 One stage had latin music, and the other had rock. Caught a decent ska band at the rock stage called Santo Barrio (I think). 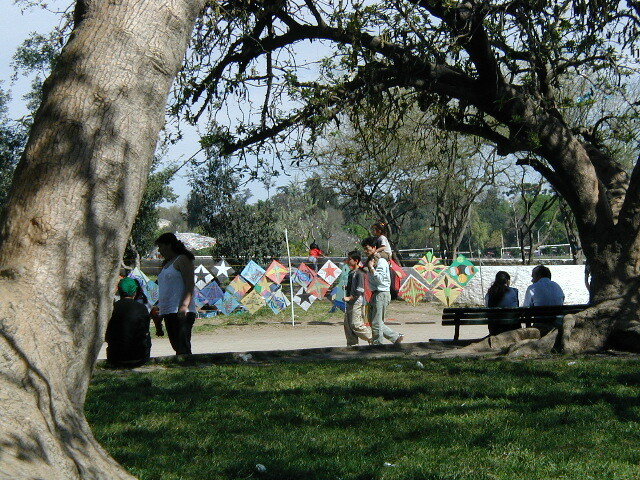 There were also all kinds of art troupes putting on performance art, puppet shows, plays and dancing about. I spent most of my day there before heading back to our hotel. That night, We also went to see Monsters Ball at the movies. None of us can quite decide if we liked it or not. Worth seeing, though. 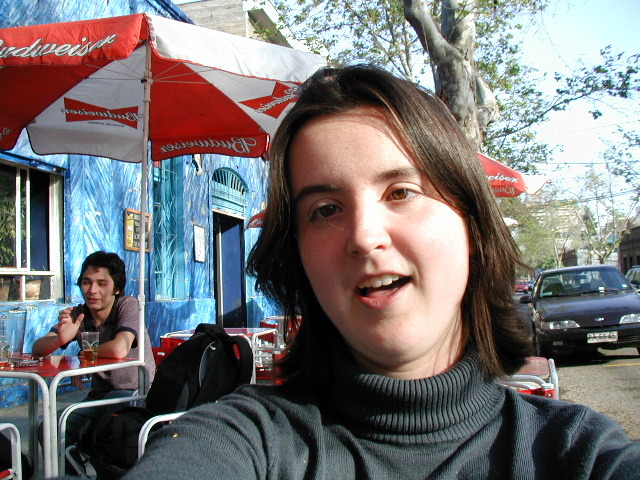 If my pictures ever all upload (someone is hogging the bandwidth) I will go see some more sights in Santiago. Haven´t taken too many pictures here so far, as Santiago isn´t really that picturesque. 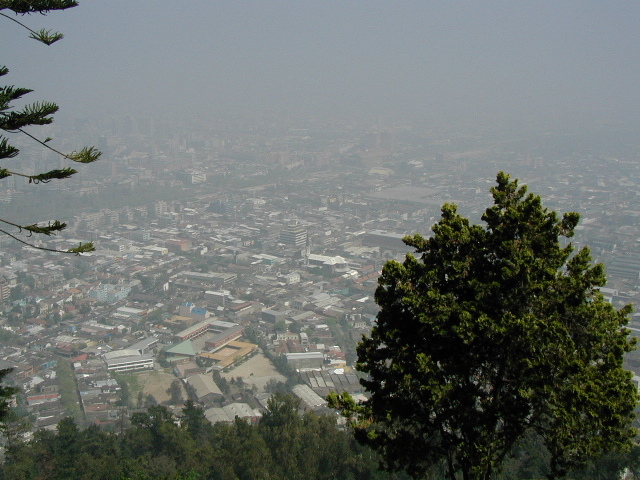 The day we went up to see Mary, I took some pictures of the city, even though it was barely discernable through the smog. Ick. 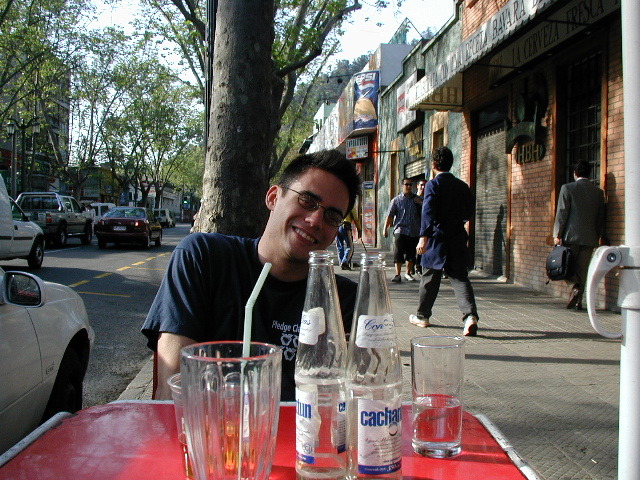 Tomorrow, we head off back to Argentina, which will be a great thing for our wallets, and our stomachs. We won´t have to ration what we eat anymore! 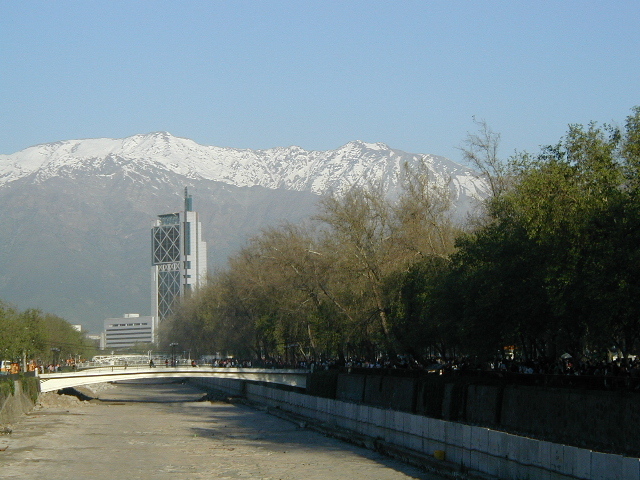 In Mendoza the weather forcast looks quite good 75-85 and sunny. YAY. Will be buying another t-shirt there, I think.